Let me first say that I really appreciate the comment. I love substantive debates. I also know that I’m not always going to get things right and would prefer to get corrected when I’m wrong. Also, in cases with things like investing style, there may not really be just one right answer, just opinions. Different strokes for different folks. Now, there was a lot packed into my statement about “blindly choosing stocks” when talking about index funds. I wanted to, therefore, use this post to unpack and add some background to explain the statement. To do this, please allow me to go into a bit of the history and science behind the indexes and index funds. The commenter appears to be quite experienced with investing, so this may not be needed for him, but let me go ahead and provide this background for others who may be new to investing and who would therefore benefit. The purpose of these indices was to provide a representation of what an investment in the most important components of different segments of the market would return. This allowed a trader to have a benchmark against which to compare how he was doing. If you were trying to pick railroad stocks and were up 5% in 1901, was that a good return or just average for that sector of the market? One could compare that result against what the index did over the same time period to get an idea. Over time indices also became useful for evaluating how different segments of the markets, such as oil stocks, railroads, and food producers were doing. Eventually, looking at the indices, especially the DJIA, became a way to evaluate how the economy, in general, was doing. If the DJIA was up. the economy was said to be thriving. If the DJIA was falling, the economy was said to be hurting. In actuality, because stock traders look at the future, as opposed to the present, the behavior of the indices was more an indicator of where the economy was going and not where it was. If the indices started to fall, that might portend a recession in a few months to a year. If the indices started to surge after a recession, the economy might follow six months to a year later. Put your budget on steroids. 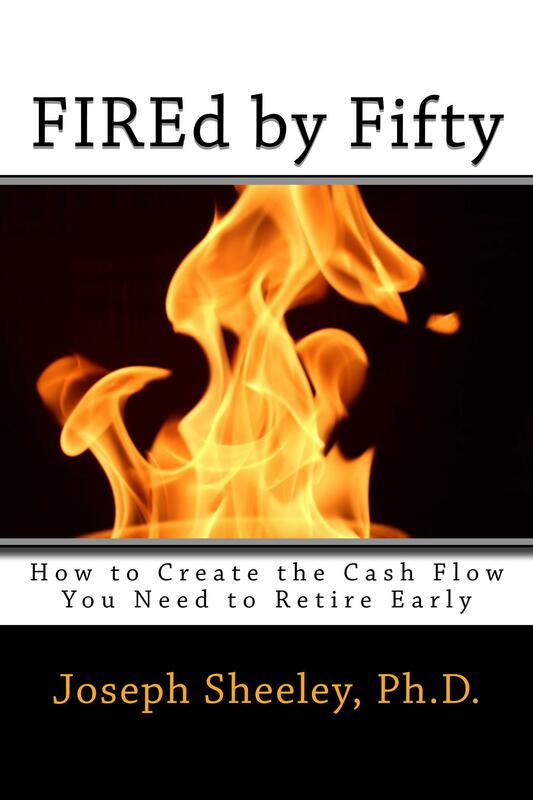 Check out my newest book, FIREd by Fifty: How to Create the Cash Flow You Need to Retire Early , and learn how to determine your cash flow and develop a plan to build your wealth. The original indices were simple. Basically, you started by picking several stocks, summing their prices, and dividing by the number of stocks that you chose to get the value of the index. The return of the index was therefore equivalent to the return you would get by buying one share of each stock in the index. The problem with this method is that higher-priced stocks would have a much bigger effect on the value of index than low-priced stocks. For example, a $40 stock moving 10% would have a much bigger effect on the value of the index than would a $10 stock moving 10%. This is because if the higher-priced stock went up 10% and the lower-priced stock fell by 10%, the result would be a net gain of $3 in the index price since the high-priced stock would increase $4 and the lower-priced stock only decline $1. This meant that if the high-priced stocks were doing well, the index would be going up even if the lower-priced stocks were doing poorly, and vice-versa. This was not good if your goal was to understand how the sector was performing. As the stocks in the DJIA and other indices split, the divisor in the equation used to calculate the index price is adjusted so that the index will not suddenly jump in price due to the split. For example, if US Sugar stock split, going from $100 per share to $50 per share, instead of dividing the sum of the stock prices by 28, you might divide by 27.6 so that the level of the index remained the same before and after the split. This would mean that US Sugar would have less of an effect on the index than it did the day before the split, however. As long as all of the stocks in the index split periodically as they grew in price and therefore remained at about the same price, each would get its turn to lead the index, but over time the index would do a fairly good job of representing the growth in the share price of the stocks contained within the index. Luckily, people like Warren Buffett with his Berkshire Hathaway, which never splits, are rare since a stock like that would dominate the index it was in and the index would become relatively useless. Obviously, as time passes, companies come and go. Indeed, of the original DJIA formed in 1896, none of them remain. General Electric had the longest run on the DJIA, staying in the index from 1907 until 1918, finally being replaced by Walgreen Boots Alliance this year. When a stock is replaced, again the divisor used to calculate the index value is adjusted as necessary to again keep the price of the index the same. As stated previously, indices were initially developed as a way to determine how well traders were doing versus a sector of the market. If you chose four stocks and made 10% while the DJIA was making 5%, you were doing really well. Likewise, if your portfolio went down only 5% when the DJIA went down 10%, you were also doing well. This was important since, without this feedback, traders would tend to remember their victories and forget their failures. They would remember the stock that went up 40% and forget about the two that went down 30%. They might also think that they were masters of the universe when their stocks were up 10% for the year when, in fact, the whole market was up so they really weren’t doing anything special. The trouble was that, once comparisons were made, most traders were not doing well. Often they would have returns that were below that which they would have gotten if they had been able to simply create the portfolio represented by the index, which in turn was a representation of a sector of the whole stock markets. Even if they were able to match the returns of the index, the costs they would incur by trading would cause their returns to be lower. Because of this observation, a desire to be able to invest in a way so as to match the index performance as closely as possible was created. Mutual funds, in which investors pooled their money together and had a manager invest the funds for them, already existed to a limited extent. Creating an index fund simply involved buying the stocks contained in a particular index rather than having a manager pick stocks. This had the side benefit of reducing costs since you no longer needed to pay for a team of individuals to research stocks and pay a rock star manager. As it turned out, index funds ended up beating managed funds most of the time, especially when costs were included. 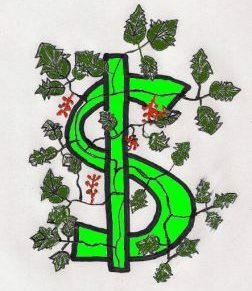 To learn more about mutual fund investing, please check out The Bogleheads’ Guide to Investing. This is an excellent book on index fund investing. Here is where I must disagree with the commenter. The stocks in the indices, and therefore the index funds that mimic them, are not chosen based on their expected performance. To do so would be to have someone trying to pick stocks, which is exactly what index fund investors are trying hard to avoid. Instead, index components are picked based on their importance within their area of the market. These are meant to be the companies whose movement is representative of that segment of the market in general. When the index fund representing the retail industry goes down 10%, if it were perfectly designed, you would see an identical 10% in a portfolio consisting of all of the retail stocks. So, the DJIA was developed to assess what the big US industrial companies were doing. Likewise, the DJTI was developed to mimic the behavior of railroad stocks, later being adjusted to represent the behavior of transportation stocks in general, including airlines, which didn’t even exist when the index was formed, and long-haul truck companies that weren’t viable before the interstate system. Later, the Dow Jones Utility Average was added. Because these indices were composed of only a small number of stocks, they weren’t always that good at representing the behavior of the whole segment. For that reason, indices including more stocks, like the S&P 100 and S&P 500, with 100 and (about) 500 stocks, respectively, were created. The Russell 5000 was then created which actually included almost every stock of any value in the market. So, going back to my statement, when you are buying an index, you’re not buying a group of stocks carefully chosen for their future performance. You’re buying a set of stocks designed to act the way the whole segment of the market acts, the good and the bad. It is true that stocks must meet certain criteria to be included, but those criteria are designed to cause the index to mimic the overall industry, not to improve performance. So, should I pick stocks, or just use index funds? I wholeheartedly agree that you’ll be just fine if you use index funds (and use the right group of funds to get proper diversification). If history is a guide, you’ll get a return of 10-15% over long periods of time invested in index funds. This is if you don’t shift things around or try to time the markets. After inflation, you’ll end up with 7-10% as he said. But 3% extra is nothing to sneeze at if you’re investing for long periods of time. $1000 invested at 10% for 40 years will give you $45,000. $1000 invested at 13% will give you $130,000 over the same time period. If you are willing to put in the extra effort, it can be worth the effort. That said, I have a large portion of my IRA invested entirely in index mutual funds. I also tend to shift to index funds as my stock portfolio builds up in value. I do this because I want to have a backup plan if I don’t do a good job at selecting individual stocks. I also want to have some protection against single-stock risk when positions get big and it would cause a significant impact if something happened. But I do invest in individual stocks. I do this for three reasons. The first is that, if you have the right strategy and the personal discipline (most investors don’t do well in stock investing because they make moves at the wrong time from fear or greed), you can do a little better than you will in index funds. The second is just that I have always invested in individual stocks, starting before there were any index funds or even many managed mutual funds. The final reason is that, quite frankly, I enjoy doing so. If I didn’t enjoy it, I might just go all into indexes and ignore my portfolios just as I do with my 401k. But given that I do enjoy it, I put in the small amount of extra time it takes to choose stocks and hold them long-term. To learn about my strategy for investing in individual stocks and building up an investment portfolio to generate passive income in general, check out the SmallIvy Book of Investing . Previous How Much Are You Risking in the Stock Market? Understanding Individual Stock Risk.